Back to school time brings joy and challenges. The world just seems to speed up and you have less and less time for meal prep. Ain’t nobody got time for that. So why not strike against prepping! Chicagoland My Fit Foods can help busy people feel less busy. This quick healthy food chain started in Houston before spreading it’s healthy roots to five different states. All foods are gluten free and many are paleo-friendly. On our visit to My Fit Foods we noticed how it separates itself from other convenient health meal services with its offering of supplements, protein powders, and muscle building snacks. They have a registered nutrition on staff who works with you to set goals and keeps you in check. A 21 day challenge option can be a best bet for someone trying to make healthy eating a habit. Sunny, the registered dietitian at the Clybourn location of My Fit Foods, explained how different types of fitness goals, including weight loss, gain, toning or bulking up, could be integrated into the meal plan. Sunny doesn’t stop at just nutritional counseling. She encourages participants to work out and lends a listening ear for clients, even if they slide off track. The meals are very meat focused, however, and as there is only a smattering of veggie options, this service wouldn’t be the best bet for strict vegans and vegetarians. Carnivores rejoice, however, with a bevvy of meaty flavors. Kate’s favorite dish was the turkey chorizo egg white omelette with seasoned sweet potatoes. 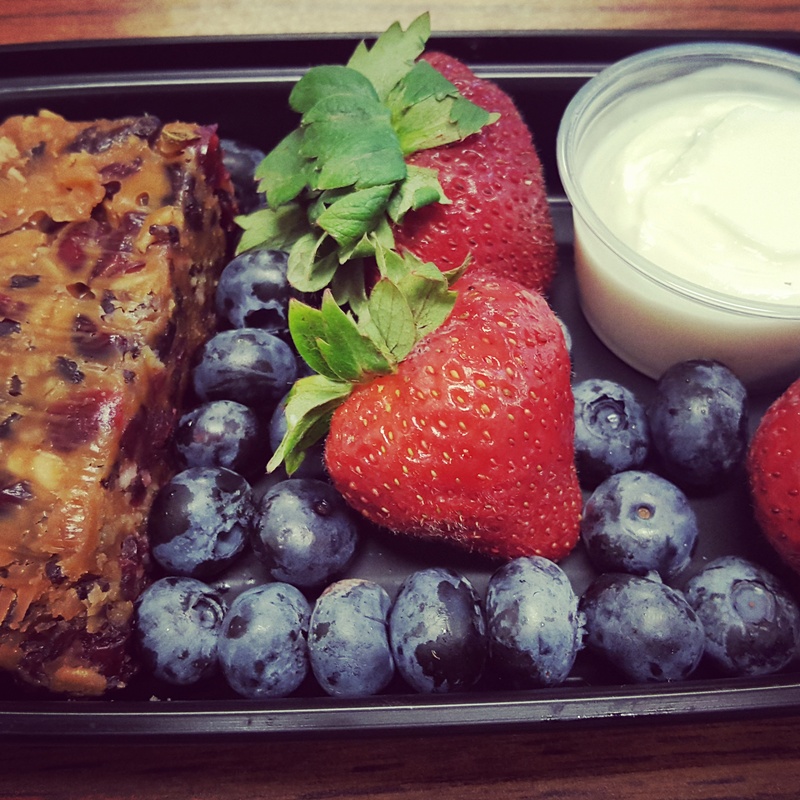 Monica’s favorite breakfast (one of few vegetarian options) was the “Fit Energy Bar” consisting of a yummy peanut butter cranberry bar with berries and non-fat greek yogurt. We also loved the daily cleanse ingredients available for purchase. 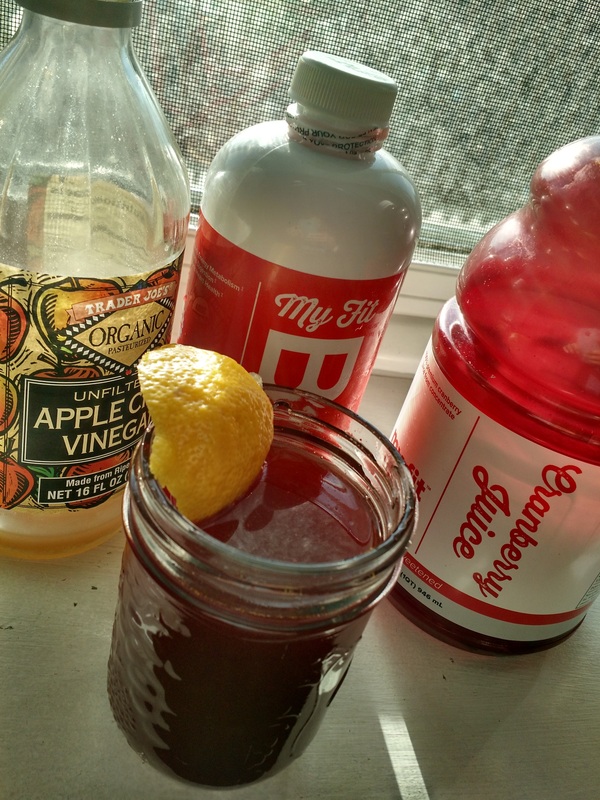 Get a daily dose of energy with liquid B12, apple cider vinegar, lemon, and unsweetened cranberry juice and ditch the caffeine habit. We liked to sprinkle turmeric and chili powder in for a little extra vitamin va va voom. Ready to bite into a quick bit of healthy food? My Fit Foods is currently promoting Pays “Fit” Forward this September every Friday with a focus on friends and charity. Healthy eating is taking on a whole new meaning of “feel good,” with My Fit Foods’ “Pay Fit Forward” campaign. During the month of September, My Fit Foods’ is encouraging their guests to share healthy lifestyle habits with friends, whilegiving back to those in need. Guests who purchase a meal at My Fit Foods during participating “Pay Fit Forward Fridays” will be offered the option to donate a FREE meal either to a friend, or to a local hunger-relief charity. As part of the “Pay Fit Forward” program My Fit Foods retail stores will guarantee a donation to each of the local charities within the respective markets. Donations in Illinois will go to the Lakeview Pantry, one of Chicago’s largest and longest-operating food depositories. Wanna double the impact? My Fit Foods invited celeb besties Ashley Tisdale and Vanessa Hudgens; Mandy Moore and Minka Kelly; Nina Dobrev and Julianne Hough to eat at My Fit Foods during the month of September. If any of these celebrity duos accept and visit any My Fit Foods retail store during the month of September, My Fit Foods will DOUBLE its Pay Fit Forward hunger-relief charity donation. Guests and social media users can help My Fit Foods rope these BFFs into the action by tweeting and using the hashtag #PayFitForward. Disclosure: Thank you to the Clybourn My Fit Foods location and Sunny, the kindest registered nutritionist around, for free meals and knowledge in exchange for this post.